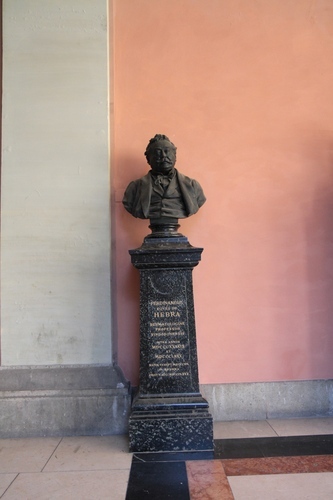 This bronze bust of Ferdinand Ritter von Hebra, made by the sculptor Viktor Tilgner (1844-1896), can be seen among the medical monuments that can be found in the arcaded courtyard of the University of Vienna (Universitätsring, 1). Hebra was professor of dermatology at the University between 1839 and 1880. The monument was unveiled on 14 June 1891.